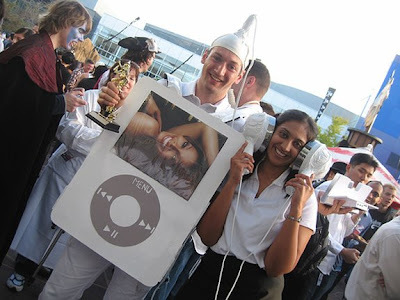 iGeek ... triumphantly holding his "Best Costume" trophy, Mr. iPod comes complete with a set of headphones for your listening pleasure. 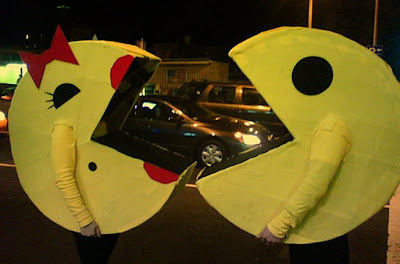 Packing it in ... an homage to the classics, two party revellers decide to go as Mr and Mrs Pacman. Their hobbies include eating pac-dots, maze-exploration and ghost-hunting . 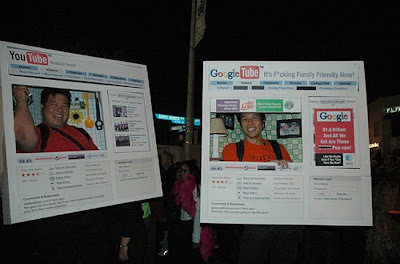 Off his Facebook ... this costume takes Facebook addiction to a whole new level. 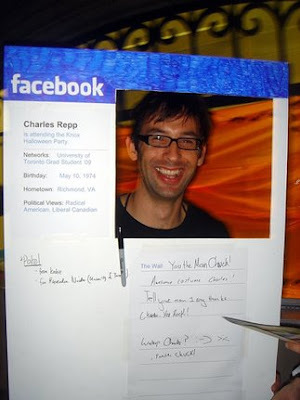 Complete with a status update, personal information and display photo, Charles Repp even allowed party-goers to write on his wall . Out of range ... Mr. iPod had some competition from Mr. 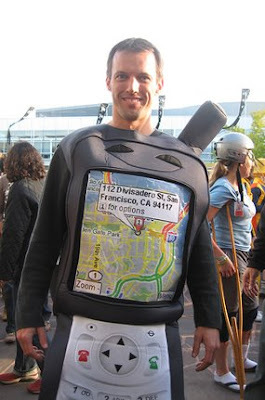 Mobile, complete with Google Maps and an old-school external antenna. Cube up ... with two turns of the puzzle, this Rubik's cube is one of the easiest ever built. 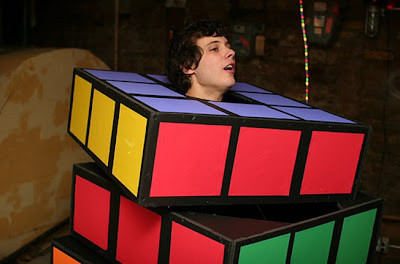 If only real cubes were this easy. 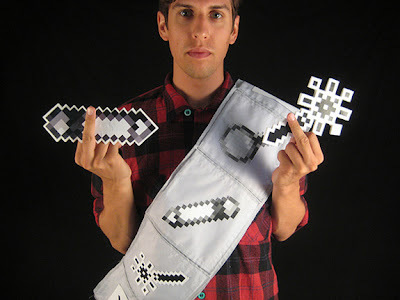 What a toolbar ... the magic wand won't make this costume change . Most viewed ... these two give a new name "Broadcast Yourself". But with only three and half stars each, the videos they posted must not have been that good. 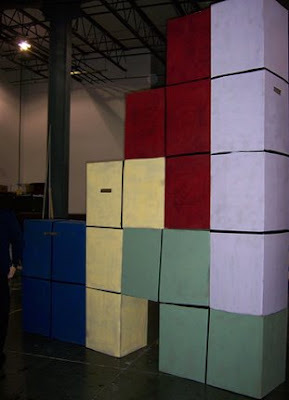 Perfect fit ... memories of 8-bit fun come flooding back as this Tetris team emulate the gaming classic. 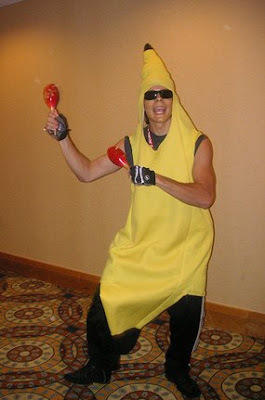 There he go ... flailing arms, thrusting hips and loud choruses of "It's Peanut Butter Jelly Time" will ensure that you will be the centre of attention at any party. That, or dressing as a giant banana. 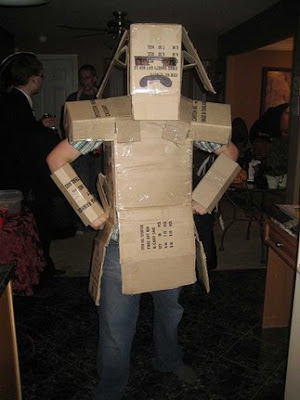 Serious robot ... you know you are in deep trouble when an angry cardboard robot stares you down . This is a really great top ten list, I've seen the faceboo one before, but definitely not the rubik's cube, I'll have to remember that one. You can post this to our site http://www.toptentopten.com/ and then link back to your site. We are looking for top ten lists and our users can track back to your site. The coolest feature is you can let other people vote on the rankings of your list.